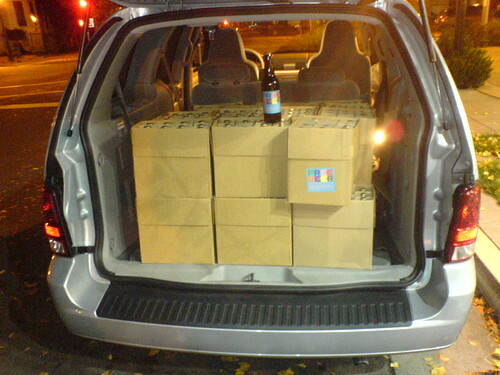 FREE BEER delivery, originally uploaded by fengergold. Picking up FREE BEER 3.0 in Sacremento, CA. A batch of FREE BEER was made at the micro brewery BREW IT UP in Sacremento California. It was made from the 3.0 recipe and tasted lovely. This is the first batch they made we will do 3 more before x-mas. One of them will be served on December 15th. at the birthday party for Creative Commons, San Francisco.